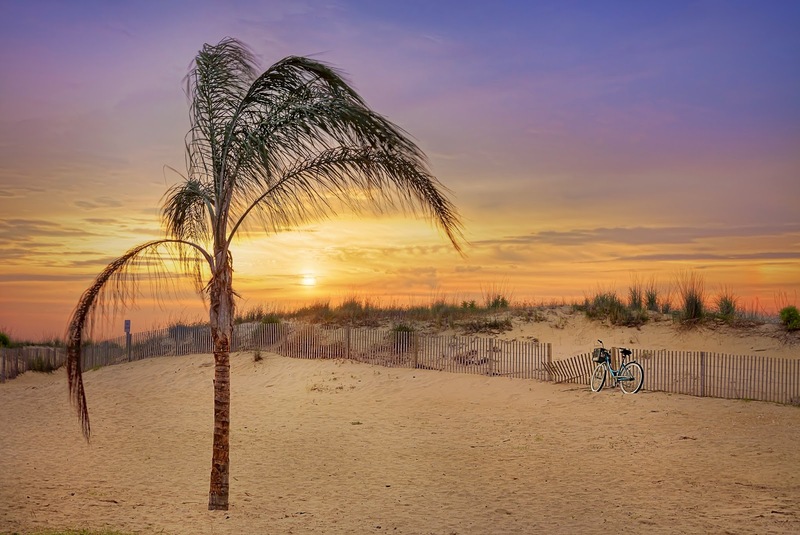 Sunrise behind an isolated palm tree on the beach at 49th St., Oceanside in Ocean City, Maryland. USA. HDRi from seven exposures @ 1 stop interval.